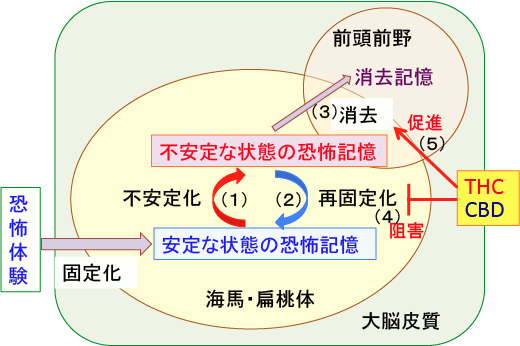 Effectiveness of Cannabidiol Oil for Pediatric Anxiety and Insomnia as Part of Posttraumatic Stress Disorder: A Case Report（外傷後ストレス障害の症状として不安と不眠を呈する小児患者に対するカンナビジオールオイルの有効性：症例報告）Perm J. 2016 Fall; 20(4): 108–111. 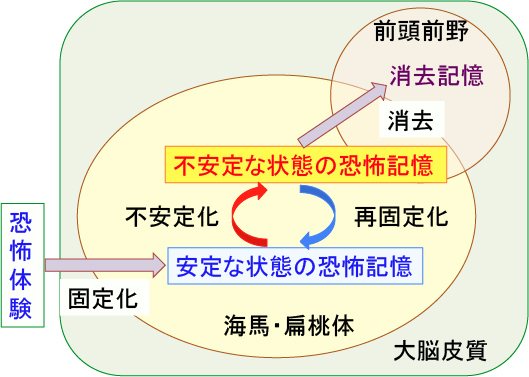 Cannabidiol Regulation of Learned Fear: Implications for Treating Anxiety-Related Disorders.（経験恐怖に対するカンナビジオールの制御作用：不安関連障害の治療との関連）Front Pharmacol. 2016 Nov 24;7:454. eCollection 2016. 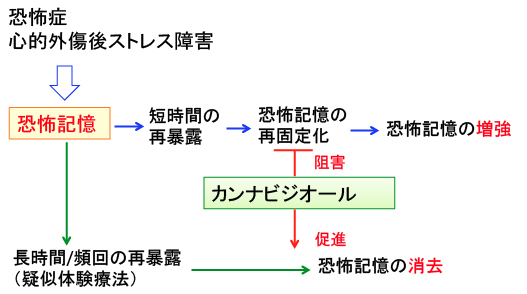 On Disruption of Fear Memory by Reconsolidation Blockade: Evidence from Cannabidiol Treatment（再固定化の阻止による恐怖記憶の消失：カンナビジオール治療からの証拠）Neuropsychopharmacology. 2012 Aug; 37(9): 2132–2142. 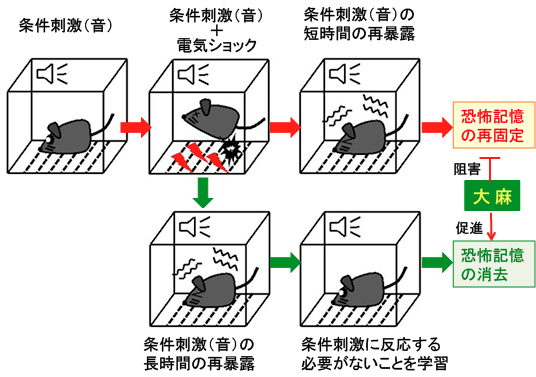 Δ9-Tetrahydrocannabinol alone and combined with cannabidiol mitigate fear memory through reconsolidation disruption.（デルタ９－テトラヒドロカンナビノール単独あるいはカンナビジオールとの併用は再固定化の阻止によって恐怖記憶を軽減する）Eur Neuropsychopharmacol. 2015 Jun;25(6):958-65.